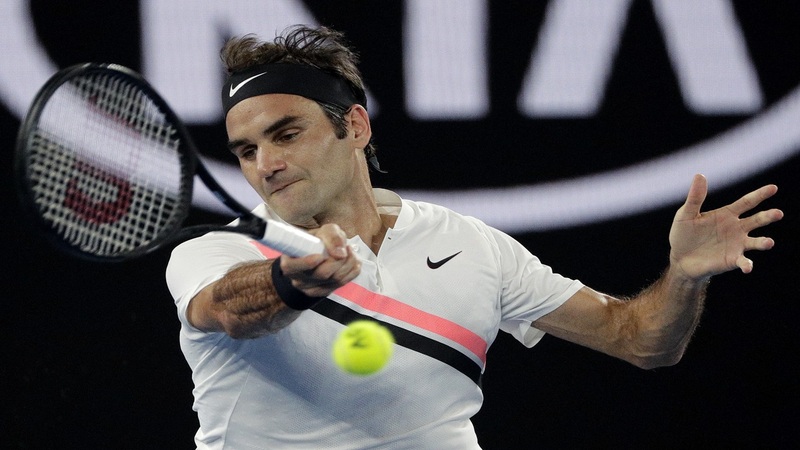 Switzerland's Roger Federer makes a forehand return to South Korea's Hyeon Chung during their semifinal at the Australian Open tennis championships in Melbourne, Australia, Friday, Jan. 26, 2018. 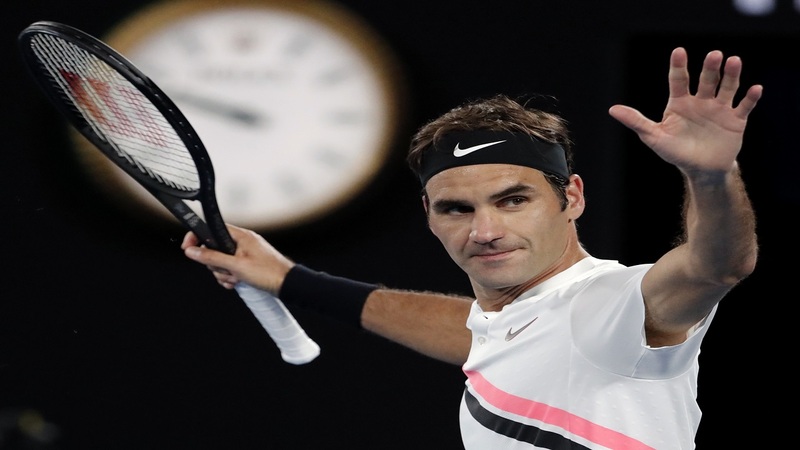 Roger Federer has moved to within one win of his 20th Grand Slam singles title after securing his spot in the Australian Open decider when Hyeon Chung retired from their semifinal on Friday night. Defending champion Federer was leading 6-1, 5-2 when Chung retired because of blisters on his left foot. Federer, who spent just over an hour on court, will play No. 6-seeded Marin Cilic in the final on Sunday night. "I've played with blisters in the past ... and it hurts a lot," said Federer, who will be contesting his 30th major final. "At some point, you can't go on. "This one feels bittersweet — I'm happy to be in the finals, but not like this. He's had an incredible tournament." Federer beat Cilic, the 2014 U.S. Open champion, in the final at Wimbledon last year. The 21-year-old Chung needed a medical timeout to re-tape his left foot after going down a break in the second set and only played two more games before he quit. Federer was utterly dominant until that point. After all, the 36-year-old Swiss star had the standing of the so-called Big Four to protect — there hasn't been a final at Melbourne Park since 2005 that hasn't featured Federer, Rafael Nadal, Novak Djokovic or Andy Murray. Stan Wawrinka's win over Nadal in 2014 was the only final since 2008 that didn't feature two of the Big Four. 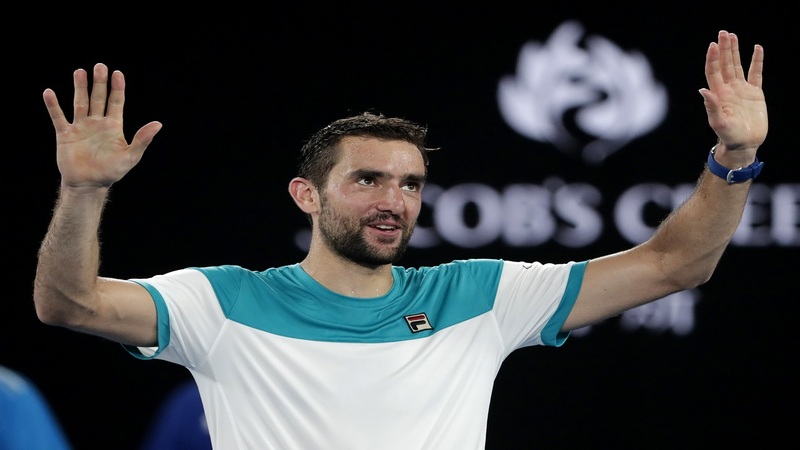 Cilic beat top-ranked Nadal in the quarterfinals and Chung stunned six-time champion Djokovic in the fourth round. And Murray, a five-time Australian Open runner-up, withdrew from the season-opening major to have surgery on his hip, leaving their collective reputation for dominance in Australia on Federer. He didn't let anyone down in a clinical disposal of the No. 58-ranked Chung, who won the Next Gen ATP Finals last November and had an attention-grabbing run through his first five rounds in Melbourne. The 21-year-old Chung was the first Korean to reach the semifinals at a major and had taken out Djokovic and No. 4-ranked Alexander Zverev on his way to the last four. Earlier, Timea Babos of Hungary and Kristina Mladenovic of France became the first players from their respective countries to lift the Australian Open women's doubles crown. 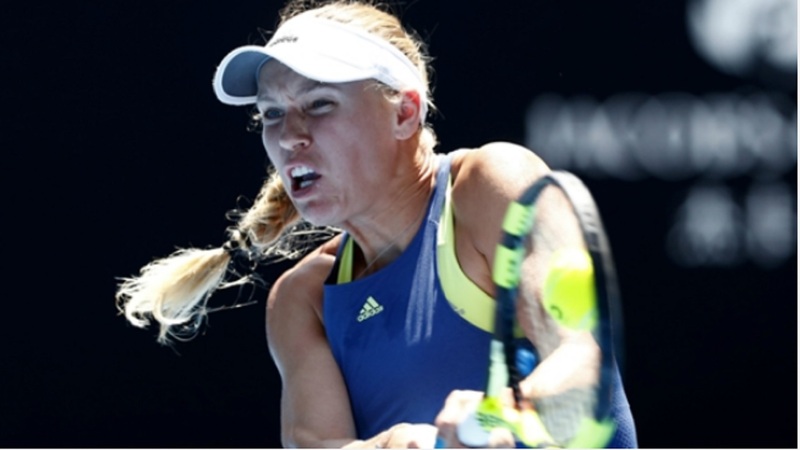 Babos and Mladenovic combined to beat the Russian pair of Ekaterina Makarova and Elena Vesnina 6-4, 6-3. It's the first Grand Slam title for Babos. Mladenovic won the 2016 French Open doubles with compatriot Caroline Garcia.